Please see below our PPG Report for 2014/2015. We have tried many avenues to encourage patients to join our PPG and have been amazed by the effort our lone representative is prepared to make. Our population is very mobile with high immigration, many rental properties and now that the original GP has retired ,links with the Langley population are reducing as patients are registering more local now that they are out of our new boundary. To have access to a Baby Changing facility which had been raised by the growing number of new babies being registered. The building was reviewed for its positioning and suitability. At the Practice Meeting it was suggested that the downstairs patient bathroom be a suitably large enough area to allow the installation of a wall mounted baby changing unit. The unit has been purchased is awaiting install in the next few weeks at our next maintenance day. Staff are aware of the facility and can direct patients accordingly. When we took over the management of the Practice in July 2013, the phones were setup so that incoming calls could only be answered from downstairs, regardless of how many people were working in the building. We were unable to give a priority telephone number to the ambulance service or even to staff to allow easier access. Patients can now have their call answered by a variety of people in a variety of locations resulting in less waiting on the phones. Phones no longer go to a voicemail so that patients are paying to wait on a call until it was answered. It has been a great improvement , plus it means that we are able to receive and send faxes without either engaging the line , or waiting for some-one to come off a call. Staff have also received telephone training on how to answer calls and manage calls more effectively. The phone triage service now works with greater efficiency. The new service was advertised in the Surgery in the newsletter and the website. The Practice is a multi-cultural patient base . We were aware through our links with Public Health that there are many facilities available locally that we were not advertising or signposting our patients to , to give them help and advice in not only medical issues but also social ones. We had a variety of meetings with Public Health and have now buddied-up with Age Concern. They now come into the Surgery once a month and have an area in the Waiting Room where patients can approach them or arrange to be seen in their own home. Their publications are in more than one language and they also have multi-lingual staff available. We hope to expand on this in the forthcoming year and work more for Carers and those that are cared for so that we can help them more at maybe times of crisis/respite/bereavement. We advertise both in the Surgery and in our Newsletter. We are in the process of designing a specific Carers large notice board which is likely to be the majority of a wall in the waiting room with news, tips, help and groups that patients and carers can go to , or be a part of where they can be heard. This service is very much in its infancy and we hope to build on the foundations that we have already put down. The Patient Participation Group (PPG) was formed to channel the views and opinions of patients and carers on matters relating to the services they receive from Ragstone Road Surgery and any other local health care providers. At the first PPG meeting in 2013 I was nominated and voted in as Chair which I have continued to do. Our aim is to encourage all patients who all have a unique perspective on the services and treatment they receive to easily be able to us feedback or suggest ways of effecting changes. Whilst being aware of the constraints we have as a Practice.  Patients are sometimes unaware of all the medical services available, the PPG can help by improving communication with patients by web, newsletter or face to face.  Patients sometimes find services confusing or difficult to obtain and the PPG can help identify those difficulties and work to make them easier to access. 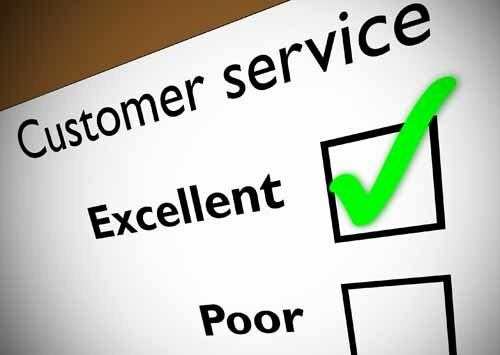  Patients may identify new services they expect/require and the PPG can bring those needs to the attention of the Practice and provide evidence of the need via surveys and collecting feedback. 10 minutes is not very long and many patients do not realise that this is the allocated appointment time. 10 minutes is not very long because it also includes time spent with discussion, history taking, patient examination, dealing with any pressing problems you might have, time spent completing forms, writing prescriptions and making the essential data entries on the computer. Doctors aim to give patients the length of time they need whilst also trying to run to schedule for the other patients waiting to see them. So, if you want to talk to the Doctor about multiple problems remember to book a double appointment (as necessary). “If you have children less than five years of age you will probably have had contact from the Surgery at some point asking you to make appointments for your child’s immunisations. It is important that they have their immunisations at the right age; the first ones are at two months old and then three months and again at four months of age. Other immunisations are given at 12-13 months and then Pre-school Boosters are given at 3 years 4 months. Between 12 and 18 years of age they will be offered, usually by their school, further immunisations. When you register a new baby at the Practice we will contact you offering a 6-9 week appointment for a Development Check with a GP and followed by the first immunisation, (Diphtheria, Tetanus, Pertussis (whooping cough), Polio and Haemophilus Influenzae type b (HIB) Pneumococcal disease and Rotavirus). All will be discussed with you at the time of this appointment. Future appointments are made at the time of this visit or you will receive a posted card requesting you make an appointment with the Practice Nurses. Asthma, eczema, hay fever, food intolerances and allergies do not prevent your child having the vaccine. If you have any questions about this please speak to the doctor, nurse or health visitor. You may wonder why your child needs to be immunised if the diseases have disappeared from this country. In the UK they are kept at bay by high immunisation rates but around the world millions die from infectious diseases with more than 5 million of these being children under the age of five. As more people travel abroad and more visit this country there is a risk that diseases could be brought into the UK. Immunisation doesn’t just protect your child it protects your family and the whole community. A&E, 999, 111 or Phone your Doctor? Slough Walk In Centre or BRACKNELL URGENT CARE CENTRE: If you need urgent medical treatment or advice which does not need a visit to A&E, or out of hours (if the Doctors are shut) or if you are not registered with a local GP. Face: has their face fallen on one side? Arms: Can they raise both arms and keep them there? Speech: Is their speech slurred? Time to call 999 if you see any single one of these signs. Please note that the Surgery is closed one afternoon a month for the Doctors and all staff to receive on-going clinical education. With the flu season now approaching please ensure that you make an appointment to have your Influenza vaccination , especially if you suffer from any of the at risk conditions. Children who are at risk will be offered the nasal flu spray. We are also able to offer Pneumonia vaccinations- these are once in a lifetime which will give you antibodies to protect you against chest infections, pneumonia, sinusitis and some of the strains of meningitis. Shingles vaccinations are also available for those who are aged 70,71, 72 , 78 and 79.